The Army Corp of Engineers wanted to upgrade the horsepower of their dredge ship in the Columbia river from 5,500 to 6,250 hp. We determined that they would need to redesign critical components and specify higher strength alloys for others to enable the larger engine to be installed. 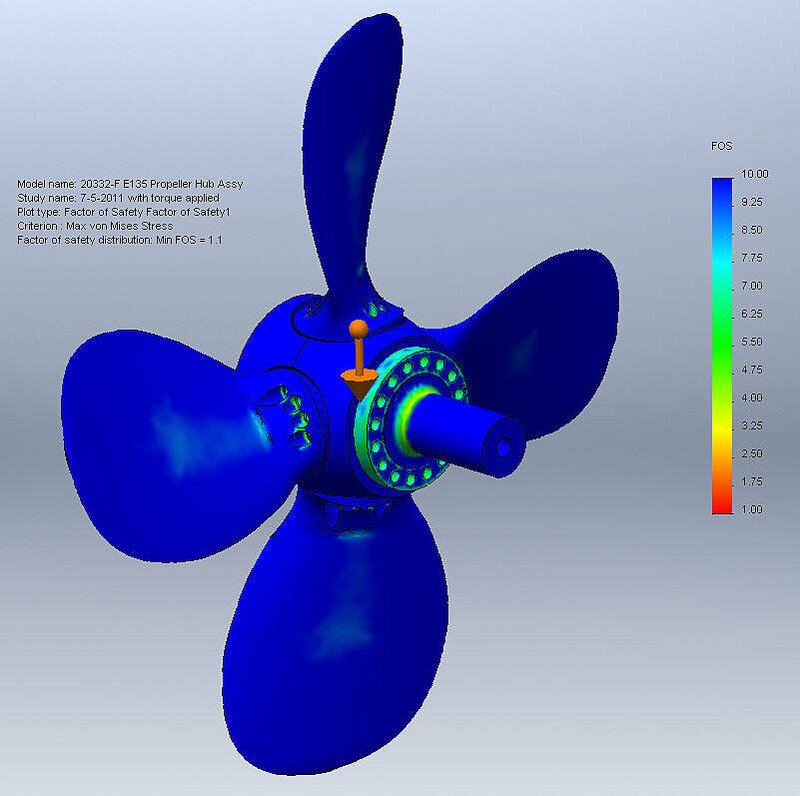 Successful sea trials proved the new parts and engine are working together perfectly. 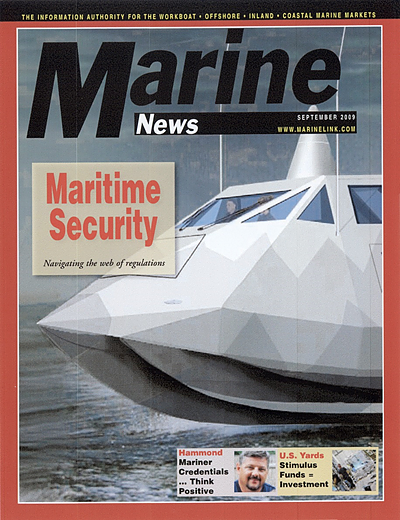 Carrying heavy loads for military or commercial fishing craft in shallow water has many challenges. Chined multi-hull designs have the advantage of being able to operate with less draft and are easier to get up on plane. The complex surfaces of this aluminum hull can all be formed on standard sheet metal fabrication tools. 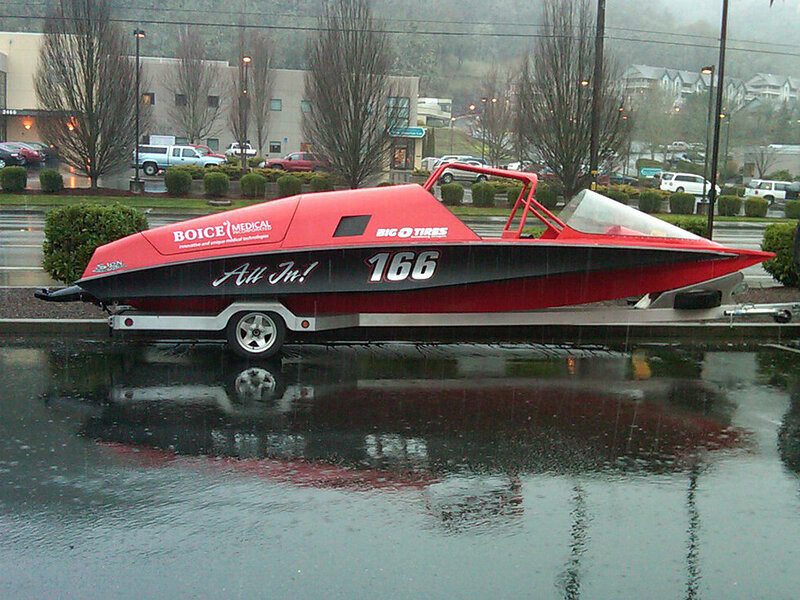 The 600 cu-in aluminum V-8 racing engine propels a driver and navigator at over 105 mph in punishing white water river races. 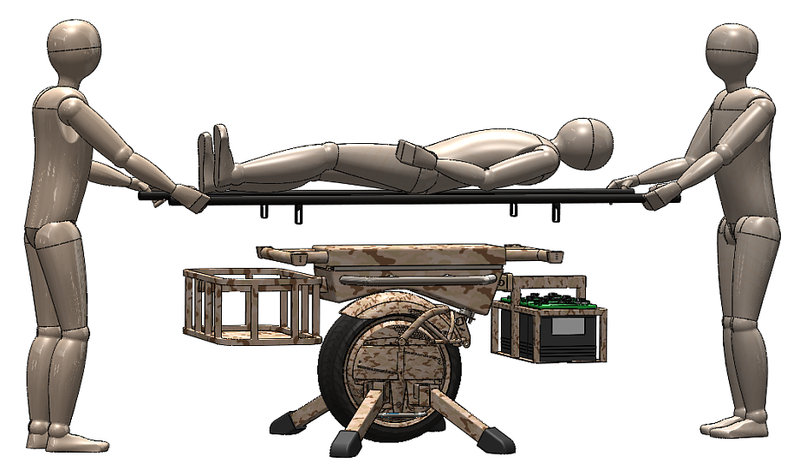 Concept model of self balancing litter for evacuating injured soldiers. The new class of Heavy Expanded Mobility Tactical Truck (HEMTT) needed a way to mount a rotating gun on its cab for convoy protection. A bolt on solution allowed any truck in inventory to be quickly outfitted. 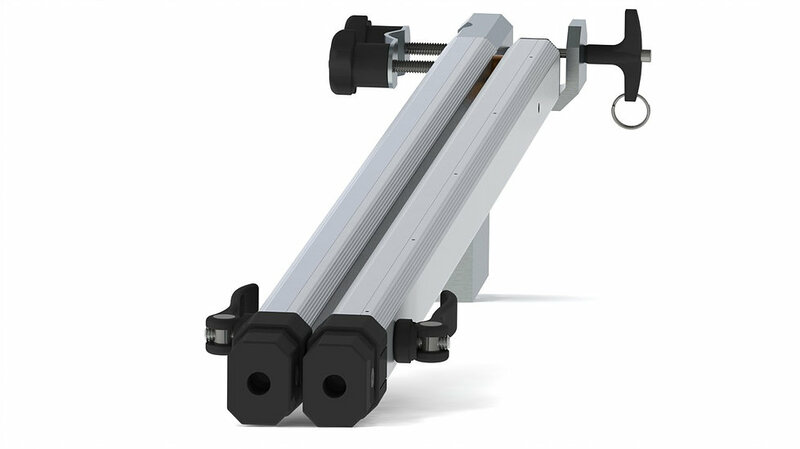 We designed this machine gun mount so that it absorbed the vibration from the rotors and recoil of the gun itself. By using existing fuselage mounts any Blackhawk can quickly have an exterior mounted gun. 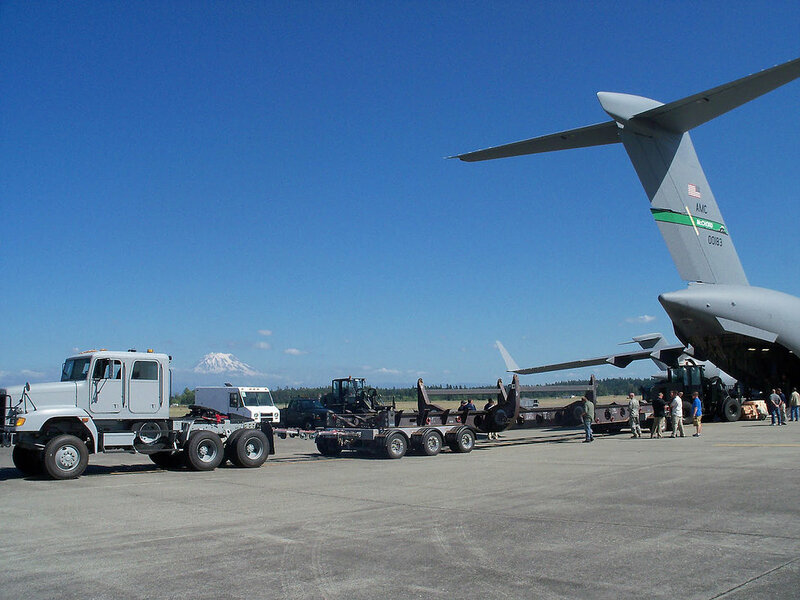 We designed, tested and flight certified the largest trailer and payload to ever to fly on a C-17. Providing engineering and project management for joint Air Force and Navy mission. 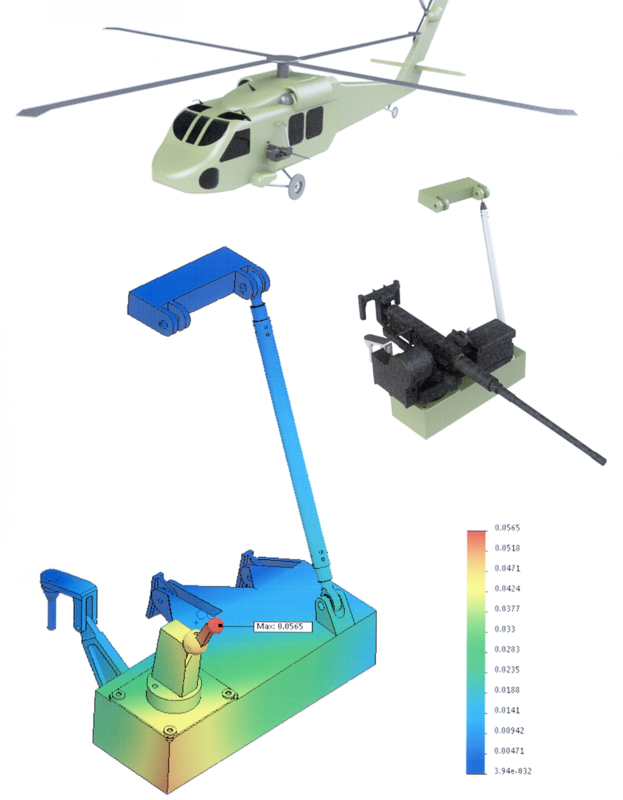 This portable military antenna system was designed to allow reconnaissance teams to quickly set up, transmit and then get out of there. The airforce builds and maintains early warning stations in artic environments. 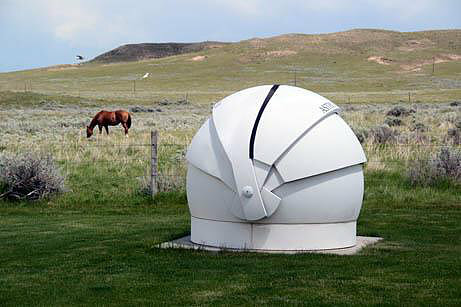 We designed this domed observatory to withstand the extreme wind and ice loads. 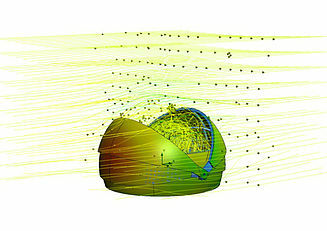 Using Computational Fluid Dynamic Simulation software we could ensure adequate factors of safety while making the moving dome panels as light as possible. The casting tooling that makes this impeller broke. 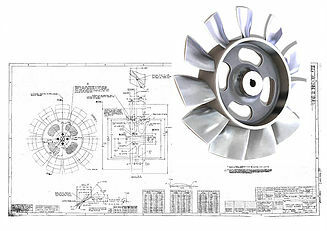 We re-created the complex fin geometry from the old drawing enabling modern CNC equipment to make the parts without tooling.